Two weeks ago, catastrophic floods hit the state of Colorado, destroying over 7,000 homes and businesses and displacing thousands of residents. 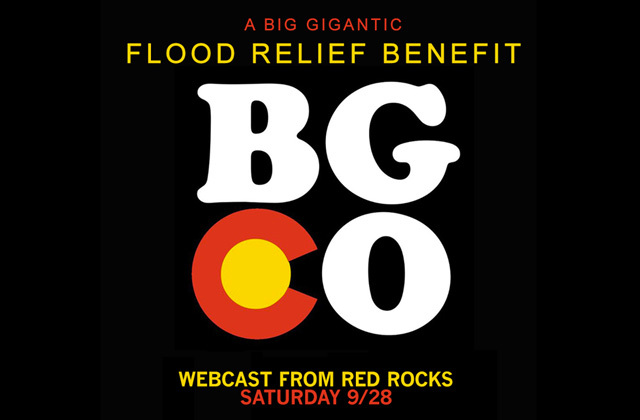 Big Gigantic, who’s hosting the second installment of their flagship Rowdytown show at Red Rocks this weekend, will donate a portion of proceeds from that sold-out show and Friday night’s show at The Fillmore. If you aren’t able to make it to Rowdytown II — which features performances by Macklemore & Ryan Lewis, Dillon Francis, GRiZ, and Raw Russ, in addition to Big G — Nugs.net will stream a live video feed from the show. Access to the stream costs $9.99 and 100% of proceeds will benefit Conscious Alliance‘s Flood Relief Fund. Big G shirts will be sold at both shows for $20 and 100% of proceeds will be donated to flood victims. Recap: Basslights with Bassnectar, Pretty Lights and friends in Hampton, Va.